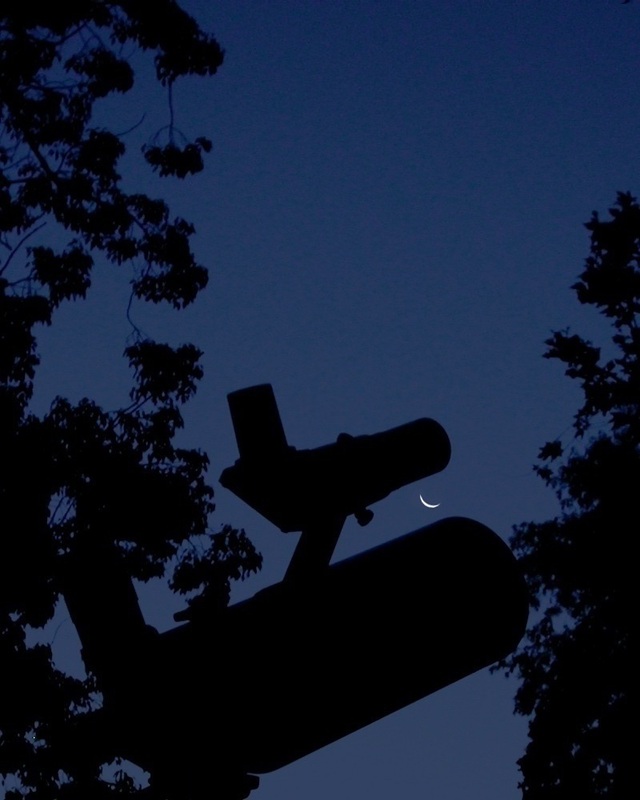 I’ve looked at this picture several times, always seeing the moon captured in the telescope silhouette. This morning I’m on a laptop, and noticed the tiny dot in the middle of the sky…Jupiter I assume? sigh….seems I have a white pixel at just the right spot. It stays in the same place when I scroll up and down. Looked cool, though!